Welcome to the ClubSiteFootball demo. The demo has been modelled as a fan site for England's 2006 World Cup Qualifying Campaign. 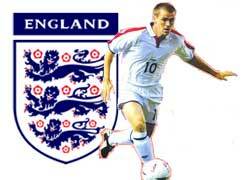 It show the details of all of England's matches from matches from UEFA World Cup 2006 qualifying group 6. Of course, you're not allowed to actually make any changes to the demo site, but hopefully you'll get an idea of what ClubSiteFootball can do. Want to contact us? If you have any thoughts, feedback or comments you wish to share then we'd like to hear from you. We are always on the look out for new and enthusiastic players. If you are interested in joining then drop us a line.